Today I answer some questions about my new release: ENTANGLED SOULS, a Kindle Worlds Runes Universe novella. Today I'm rounding up the Runes Universe feature by sharing with you DARK SOULS by J.L. 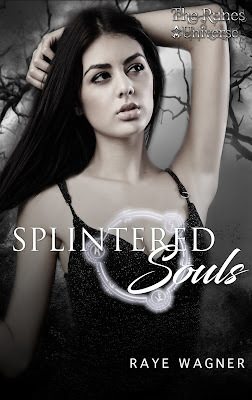 Weil and SPLINTERED SOULS by Raye Wagner. Check them out, and don't forget to enter the giveaways, which end next week! Normal isn’t an option for Emery Leclair, no matter how much she desires it. As a soul reaper, she is no stranger to darkness. Death comes with the territory, which didn’t leave time for things like dating and boys—or one particular boy. Jensen Westfall, the mortal who’s been nothing but a thorn in her side since she saved his life. Now she’s back in Kayville, two years later and Jensen is ten times hotter. 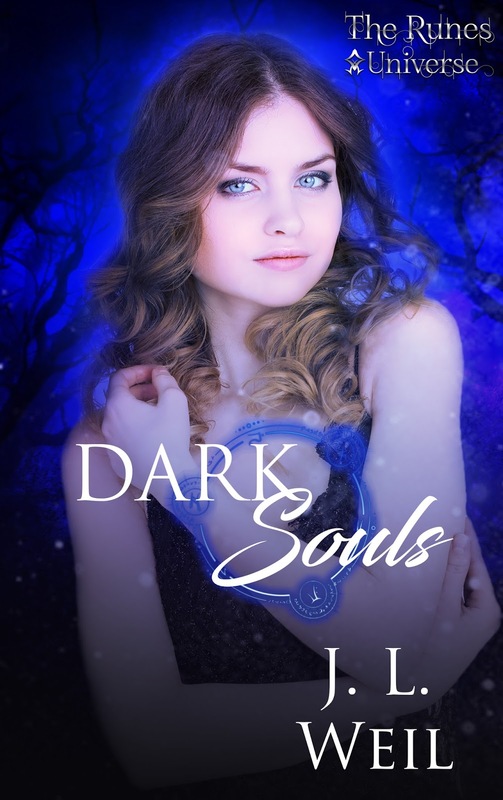 A dark soul Emery has tracked and hunted for the last decade has found her one weakness. 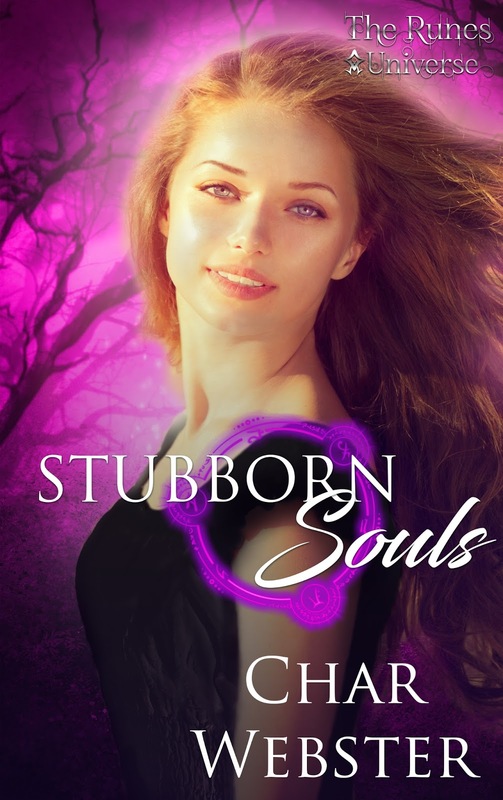 Emery must decide how far she is willing to go to protect her mortal mate. She’s managed to keep her distance for years, but this time, her resolve is weakening. Damn Jensen and his irresistible dimples. 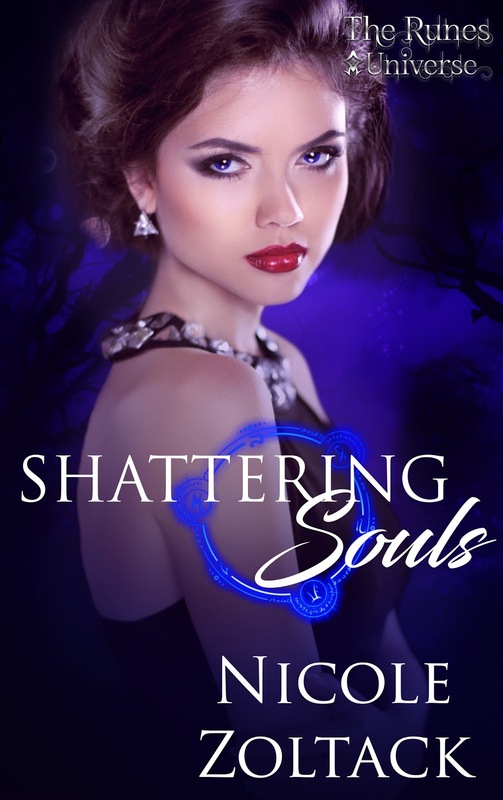 To keep Jensen from a fate much worse than death, Emery must battle the dark soul and her own heart. Aricela Topaz trusts no one. But when she meets Chace Adymn and Kai Cipriano in the small town of Kayville, everything changes. Forced to face the myths of her past, Aricela will also have to decide the fate of her future. 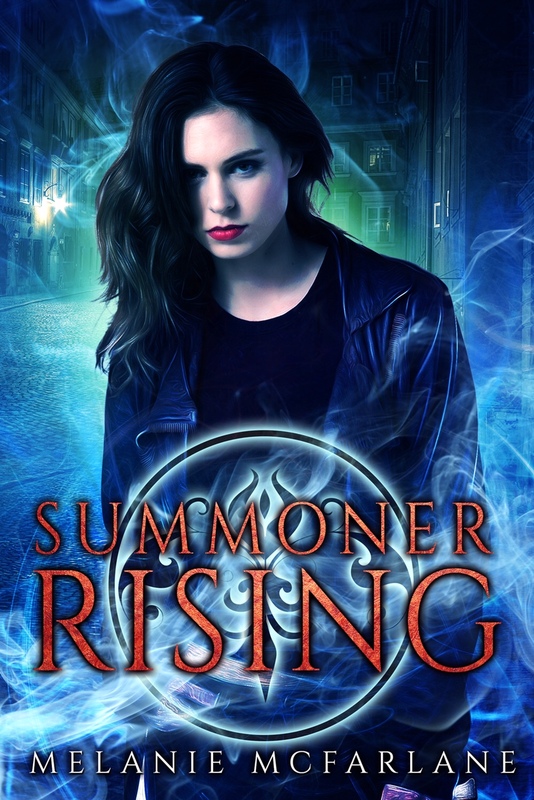 Today I'm featuring two more books in the Runes Universe launch for Kindle Worlds. 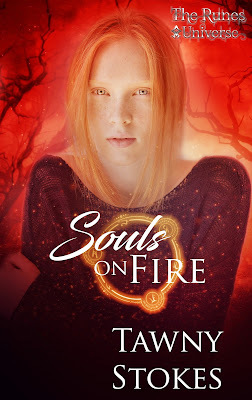 Take a look at SOULS ON FIRE by Tawny Stokes and DESTINED SOULS by Melissa Haag. For 17 year old Nina Olsen, Carpe Diem is more than just a meme on a t-shirt, it’s her every day, because she doesn’t have many of them left. Diagnosed with late stage Leukemia a year ago, Nina knows she won’t survive another one. So she plans to do everything on her bucket list which includes—go on a road trip with friends, get a tattoo, and rock the Battle of the Bands at the Xanavoo nightclub in Kayville. Only problem is she doesn’t have any friends, her mom would never let her get one, and she doesn’t have a band. But miracles can happen right? Mads Mirakellson has been reaping for the Goddess Hel for over a century. One thing he’s prided himself on, is that he never gets involved with the souls of the dying he reaps. He goes in, and gets out. That is until a regular scheduled stop at the Kayville Medical Center turns into an encounter with a spit-fire of a girl named Nina. When no one else can see him, Nina literally runs into him and gives him a piece of her mind. Never before has he met someone so full of fire that has so little time to live. Something pulls at him to help her live every one of her last days to the fullest. What he doesn’t expect is to fall in love and beg the Goddess to let him save her. Being a reaper is lonely business. As one of the first Valkyrie, Thora knows that loneliness better than most. The devastation of the Crusades has left her heart sore and weary of her long existence, until one soldier’s story lights a fire she thought lost and gives her new purpose to keep reaping for Odin’s army. Don't forget that there is a huge giveaway for the launch. There are also lots of prizes to be won during the release day party on Facebook. Click over here for more information. Today, Claire shares her favourite books to read during spring, and some new releases coming out in YA over the next few months. Go to the YA Scavenger Hunt page to find out all about the hunt. 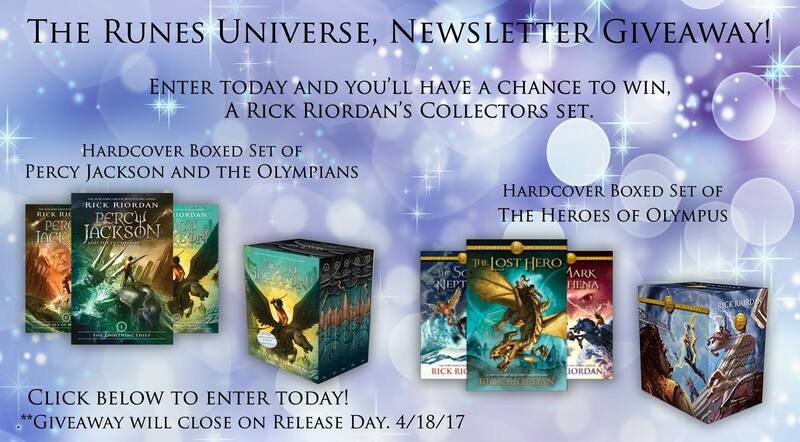 There are FIVE contests going on simultaneously, and you can enter one or all! 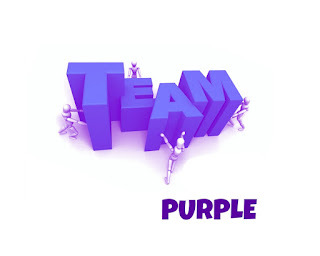 I am a part of the PURPLE TEAM--but there is also a red team, a gold team, an orange team, a red team, and an indie team for a chance to win a whole different set of books! 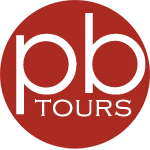 Rules: Open internationally, anyone below the age of 18 should have a parent or guardian's permission to enter. To be eligible for the grand prize, you must submit the completed entry form by Sunday, April 9th, at noon Pacific Time. Entries sent without the correct number or without contact information will not be considered. 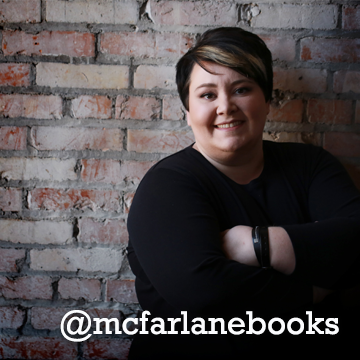 Today, I am hosting Melanie McFarlane on my blog for the YA Scavenger Hunt! Whether it’s uncovering the corruption of the future, or traveling to other worlds to save the universe, Melanie McFarlane jumps in with both hands on her keyboard. 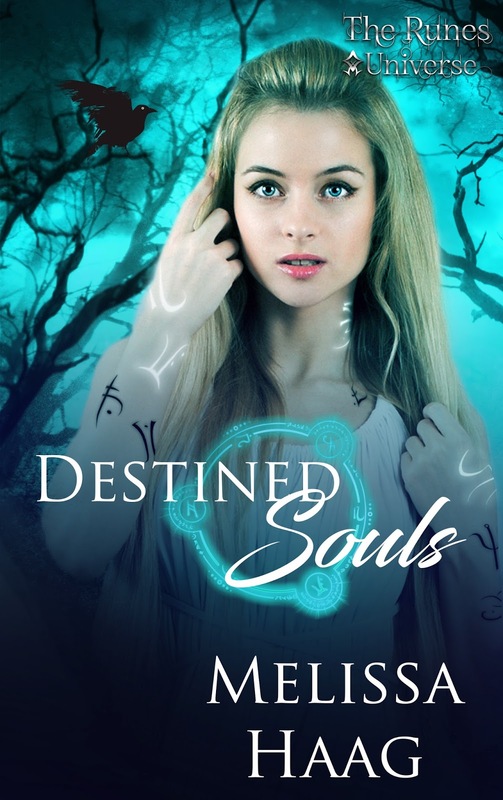 Though she can be found obsessing over zombies and orcs from time to time, Melanie focuses her powers on writing young adult stories to keep the rest of the world up reading all night. It might be a rumor, but I heard Melanie stayed up 9 nights in a row to write a book. But that's just a rumor. "Law One: A summoner is responsible for all creatures she lets through from the netherworld. And then there’s Law Two..."
And now a special quiz to find out what kind of Summoner you are! How fun! And don't forget to enter the contest for a chance to win a ton of books by me, Melanie, and more! To enter, you need to know that my favorite number is 9. 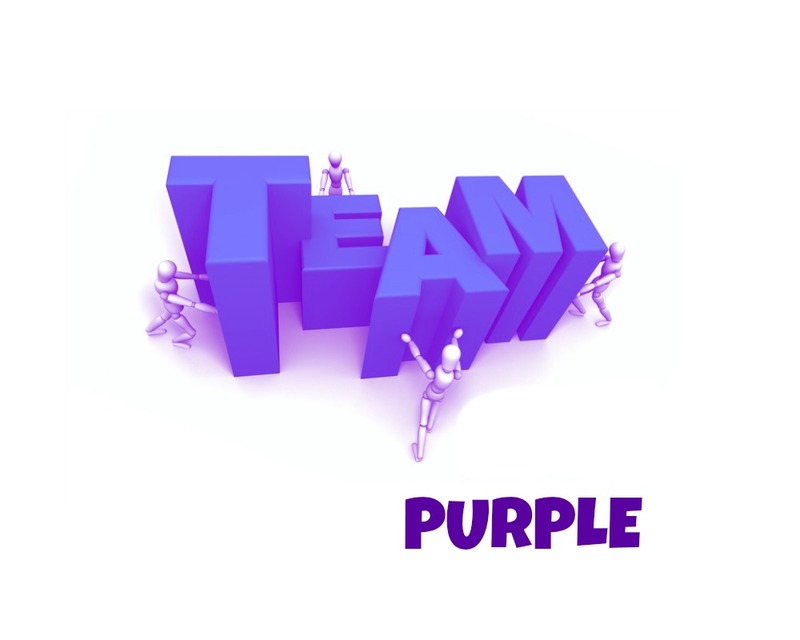 Add up all the favorite numbers of the authors on the purple team and you'll have the secret code to enter for the grand prize! 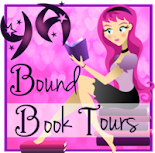 To keep going on your quest for the hunt, you need to check out the next author, Cerece Rennie Murphy! 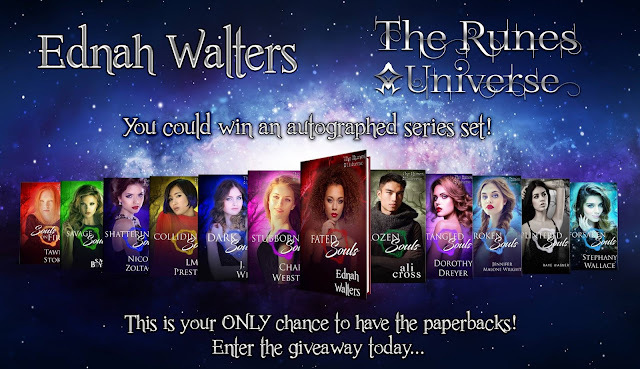 And for a special bonus, you can enter my Rafflecopter to win a $10 Amazon gift card! Good luck! 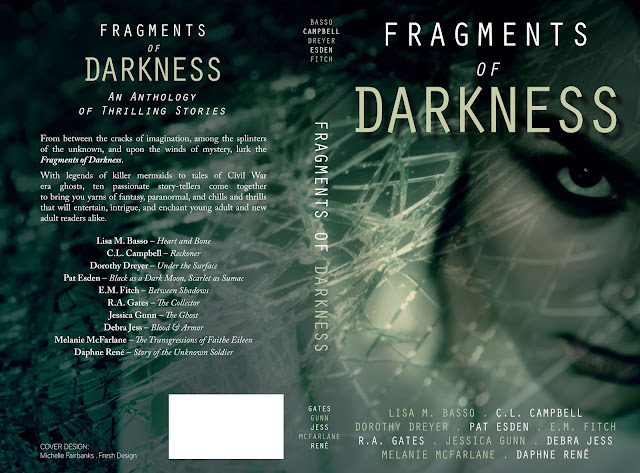 Today I'm revealing the cover for FRAGMENTS OF DARKNESS, an anthology of thrilling stories. I am so honored to work with this group of amazing authors on this project, and I can't wait for you to dive into these ten fantastic stories. But first, the cover! I'm back to share two more RUNES UNIVERSE books that will release on April 18th for the Runes Kindle Worlds launch. 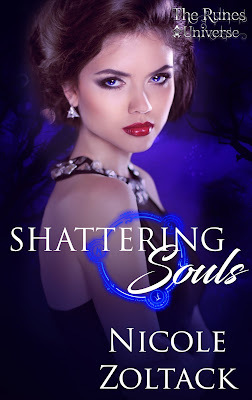 This time we're taking a sneak peek at Shattering Souls by Nicole Zoltack and Stubborn Souls by Char Webster. Check them out! Angala Hilton has one goal in life—to be the best doctor she can be. Okay, and the smartest, too. But the wickedly handsome Griffin Craken is the one at the top of their class, and she can’t stand him. And then she stumbles on him healing someone. It’s not the miracles the doctor’s think it is. Even worse, Griffin then heals Angala after a drunk driver plows into her car after a hospital fundraiser.But that’s not the worst of it. The next morning, Angala is the one to heal someone. Turns out, Griffin’s an Immortal, and she’s a witch. Valkyrie Aria was sure of three things: she is one of the best soul reapers there is, she gets cranky when her assignments take her too far from the beach, and she hates Damian with a fiery passion that will last throughout time. Grimnir Damian has done some stupid things in his long life but the worst by far was leaving his soul mate, Aria, at the alter all those years ago. 600 years later, they can't be within a mile of each other or sparks will fly and not the good kind. Now, the man responsible for making Damian walk out on their marriage has escaped from an Asgardian prison and the Valkyrie Council is forcing Aria and Damian to team up to capture him. Can they put their differences aside long enough to save the nine realms?